Universities have a role to play in creating and storing knowledge, but also in sharing it. At Notre Dame, the IDEA (Innovation, De-risking and Enterprise Acceleration) Center helps to bring the work of the University’s faculty and students to market. It provides the resources and space for entrepreneurs to refine and test their business ideas. Several programs provide academic and administrative support for this endeavor. The first is the Engineering, Science, and Technology Entrepreneurship Excellence Master’s (ESTEEM) program, an intensive 11-month curriculum that equips students with the skills and experience to launch new businesses, become innovators within large corporations, and be leaders of dynamic, innovative teams. In addition, a newly launched innovation and entrepreneurship minor within the Mendoza College of Business that guides students through the legal and social considerations in a new business venture. Similarly, the Student Commercialization program offers a milestone-based process to help student teams learn to develop and de-risk technologies, with access to mentorship, funding, and networking resources as needed. Two awards-based programs recognize the brightest new ideas in the campus community. The 1st Source Bank Faculty Commercialization Award is presented each spring to a faculty member from the University of Notre Dame or the Indiana University School of Medicine-South Bend who has successfully transitioned their technology from the lab to the marketplace. And the McCloskey New Venture Competition awards more than $400,000 in cash and in-kind prizes to area startups each year. 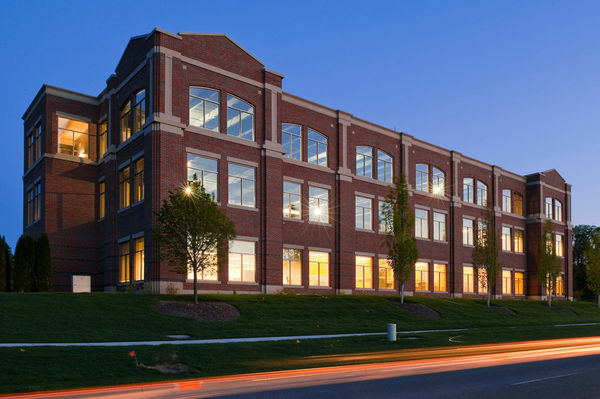 The IDEA Center is located in Innovation Park, a 55,000-square foot facility just south of the Notre Dame campus.